I came across something beautiful. 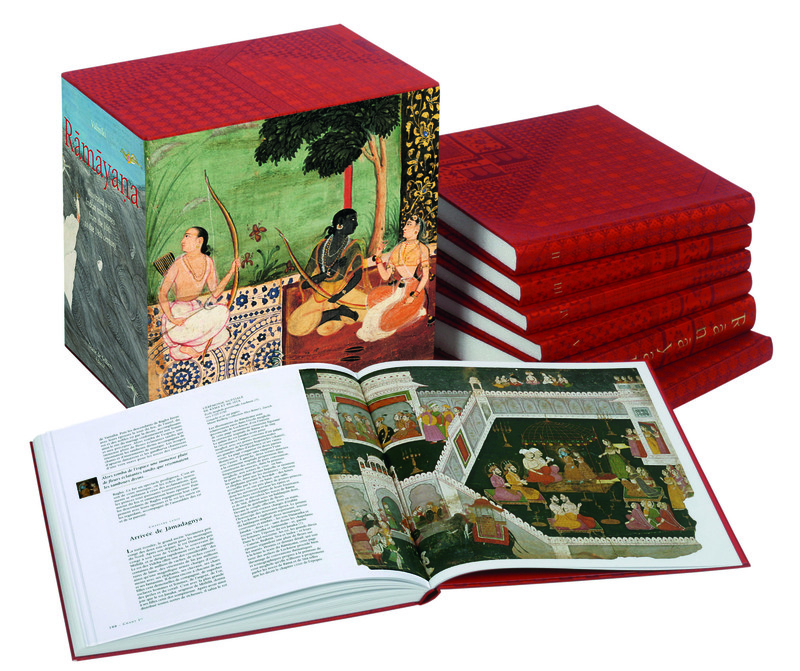 A French lady publisher has brought out an exquisite translation of the Ramayana of Valmiki with illustrations sourced from around the world of ancient paintings and manuscripts. Here is another image from the book. It is in Kannada, sourced from a collection on Hyderabad. It is dated 16th Century. Parameshvara decided to tame the arrogance of Ganga who descended menacingly and caught her in his matted locks as vast and magnificent as Himalayas. Ganga was bound in his locks for a long time and could not flood the earth.